Description Penn Central (PC) Railroad Black and White Route of Metroliner Club Car Lunch Menu from the Metroclub Car on the New York to Washington high speed trains. This menu has a code of PCC-L-21. A very nice lunch for the time period - Consomme Madrilene, Hot Brisket of Corned Beef on French Bread, Potato Salad - Relish Tray, Light Cream Cheese Cake and a choice of Coffee, Tea or Milk and Mints all for $2.50. 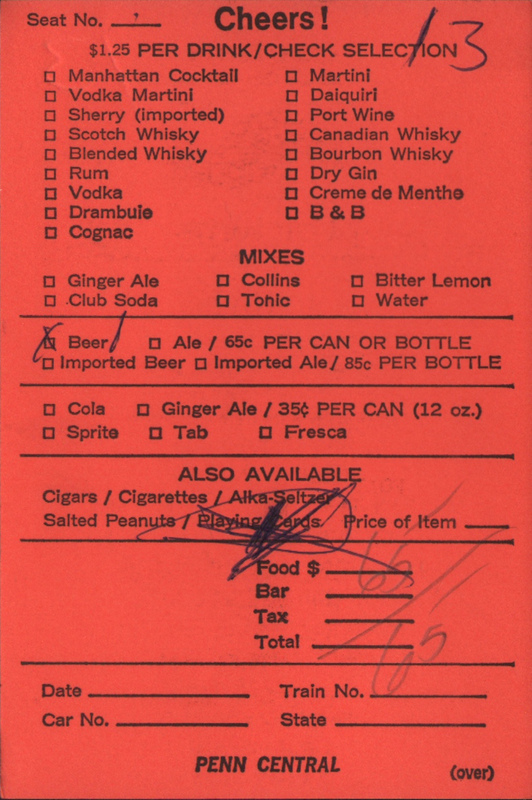 A full beverage menus is found on the back of the menu. 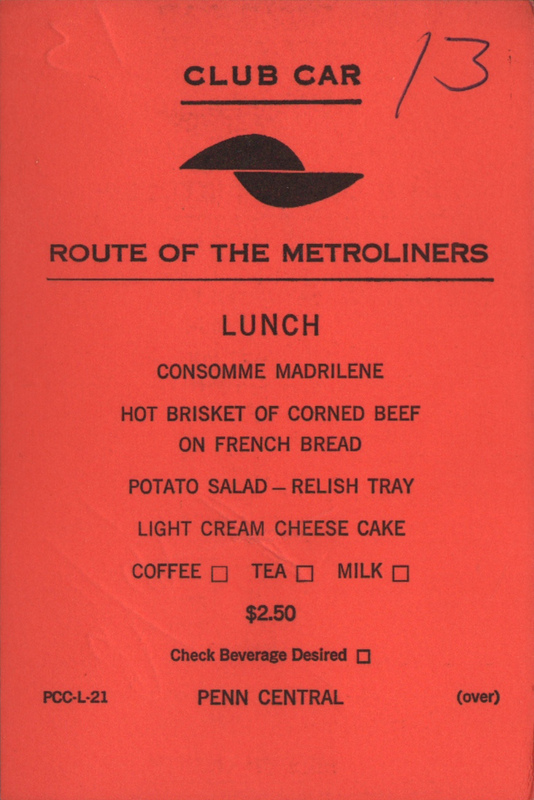 A collectible item as Metroliner menus are not easy to find. This menu was used, as the number "13" is written on the front in pen and back, along with a selection of 1 Beer for a total of 65 cents.